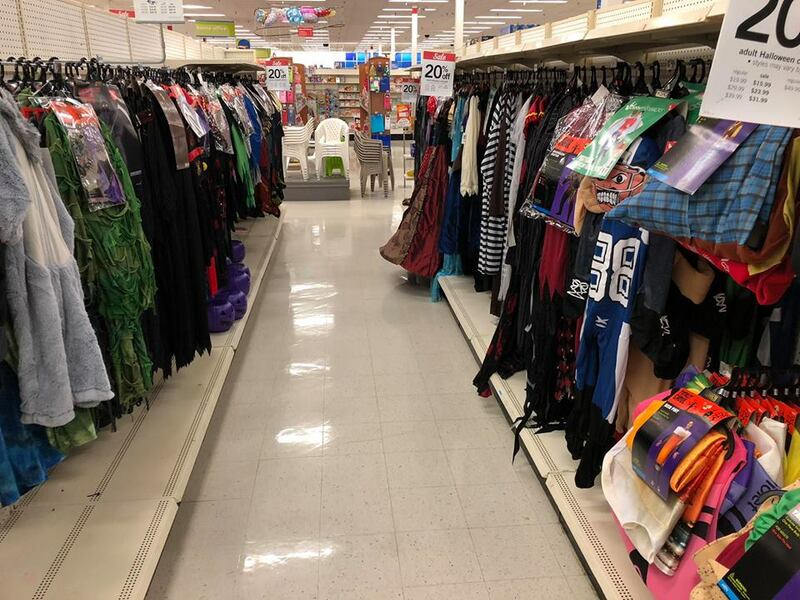 The Horror Movie BBQ: The Haunts Of K-Marts Halloween Aisle! 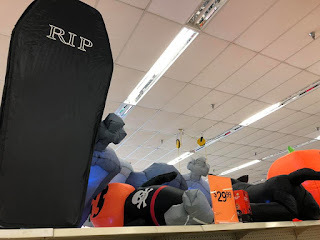 The Haunts Of K-Marts Halloween Aisle! 2003 was a pretty big year for me. I had finally got my drivers license, I got my first "real job" that I'd work at for 8 years, I was becoming a little bit more aware of the real world surroundings and I was developing my own sense of independence. I went from expecting my friends to drive me to the video store on Wednesdays for their "5 for $5" rental nights and Toys R Us to look for new MOTU figures to owning the night and driving myself. A great feeling indeed. Everything was coming together and it just made for such an amazing/life changing year for me. What does all this have to do with K-Mart and Halloween? Why am I sharing this and what does it have to do with K-Mart? Well, it's pretty simple. Humor me for a moment, please, and keep reading. You'll understand in a moment. In that year, I had started to redevelop a love for Halloween and there's a lot of factors as to why. 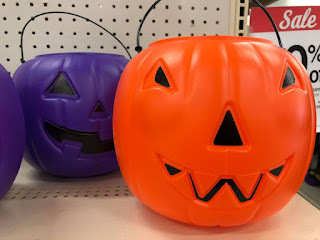 I was working with kids and seeing their excitement as well as my coworkers constant talk about Halloween parties and their favorite Halloween memories. It was almost like a daily round table of spooky stories of trick or treating victories as kids and I soaked it in. It also helped my excitement spill over into my work and we helped present a rad Halloween party for the kids that year. In my personal time, I spent a lot of time online whether it was reading Dinosaur Dracula's first Halloween Countdown (via his former site, X-Entertainment), Roger Barr's I-Mockery and even the popular (sadly, now defunct) Fangoria message boards all of which helped me get hyped for the season. Every day, I'd check for news on dvd's from Fangoria or a review from XE or RoG on new candy or snacks or even movie recommendations, which could've come from any of the three sites. I can't imagine that Halloween season being as great without even just ONE of those things missing. I mean, not sampling a Hostess Scary Cake? Not going out and picking up a cheap Freddy glove? Just wouldn't feel right. 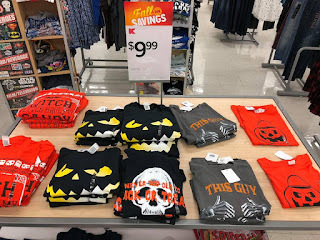 On top of all this, I was hitting one store more than any other for my Halloween fix: K-MART. It's hard to imagine now, but for the longest time, K-Mart was the place to be for holidays and where I come from, it was the go-to store for everything. Even as a kid, my mom would go to K-Mart for everything and I'd be in tow. 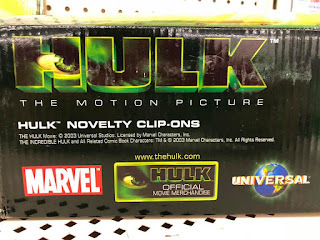 The amount of action figures I'd pick up, the embarrassing trips for new school clothes I'd make while hoping no one I knew was there, and of course before we had a Halloween Spirit, K-Mart was where all of us kids got our costumes. Wanna be Sgt. Slaughter or Roger Rabbit? How about a Power Ranger? K-Mart gotcha. 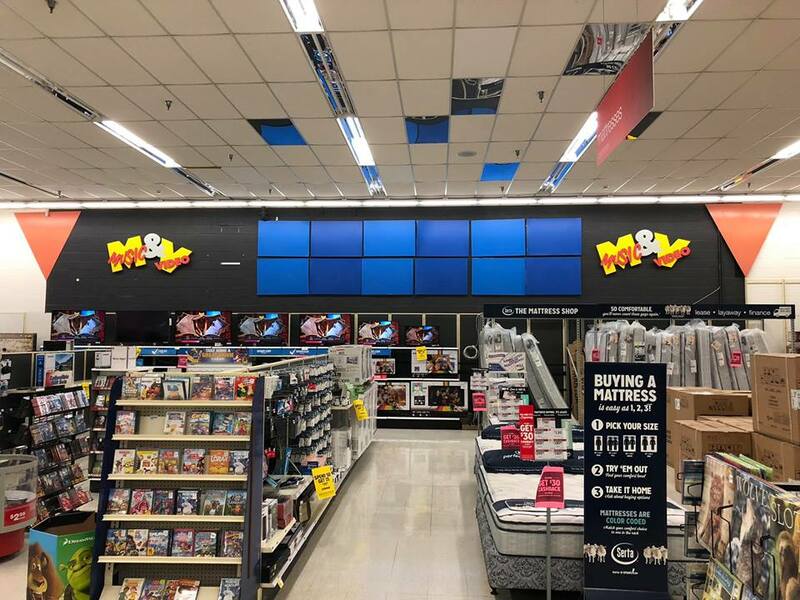 No WalMart or Target for us, it was Blue Light Special or nothing. So now you're seeing the roots of my love of this place and in 2003, K-Mart was probably at it's peak for Halloween goodness. I wish I had photos of their displays and items because even the most ardent Halloween fan would be crying tears of joy. 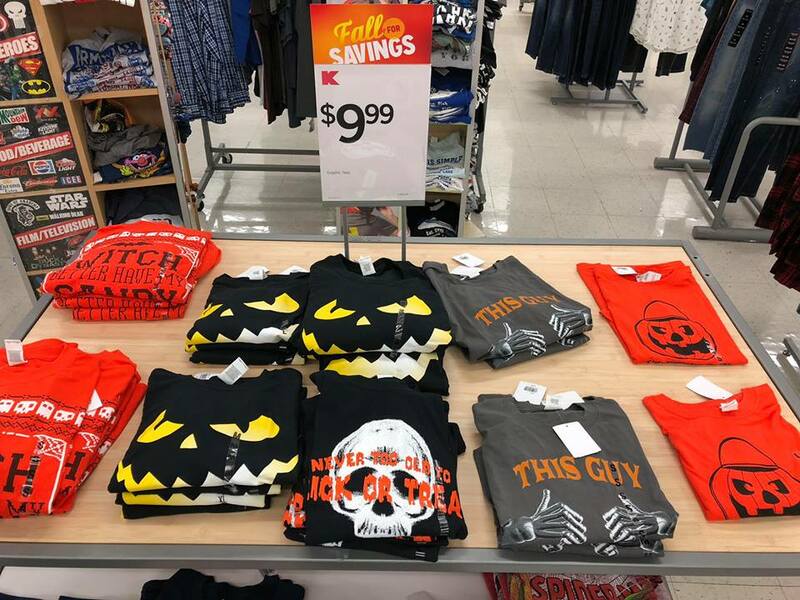 Of course, Target's seasonal notoriety wouldn't be established until years later and in many regards, Target remains the king of every holiday to this day. 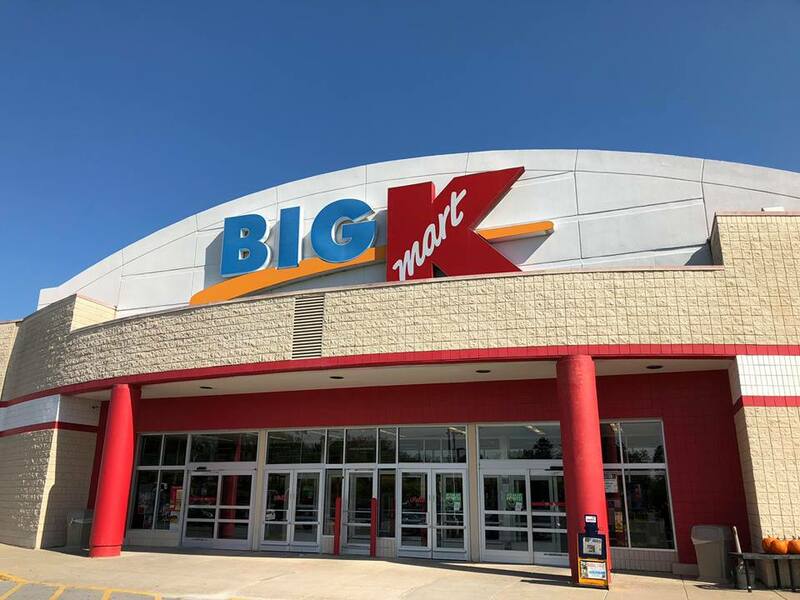 K-Mart is hardly a player anymore but from childhood to just about 10 years ago, the one spot we'd all go to in my town is the big red K. During this time, they got a little more adventurous and risky with their Halloween offerings. Big setups and interactive displays cool archways and if I remember it right, included a lot of animated displays. They'd have a huge variety of costumes, buckets and bags, candy, snacks, cereal, cookies, the list goes on. My favorite though? The vast amount of Anchor Bay dvds (which were known for their amazing variety of new and obscure horror movies), including the awesome Double Feature Drive In sets, would give even Best Buy a run for their money at that time. The amount of movies I picked up and discovered just in 2003 alone was incredible. It was Halloween Utopia. I wanted to live in that moment for as long as I could. I figured "Oh man, every year is going to be bigger and better". That would only sadly last for a few more years. Despite that glorious sign, my hopes weren't exactly high. 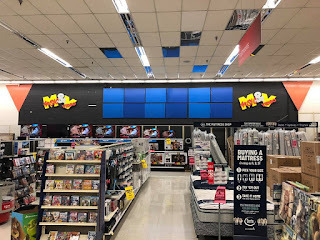 I've been to this K-Mart before on a regular day and it's usually a dirty mess to the point that I've even seen a worker pick their nose at a register with no one in line. It's not exactly the most revered store in the area either, especially when WalMart and Target moved literally right across the street. But I was still determined to find something positive out of this trip. I'm not fully set on giving up hope just yet. Remaining optimistic was the key to success. 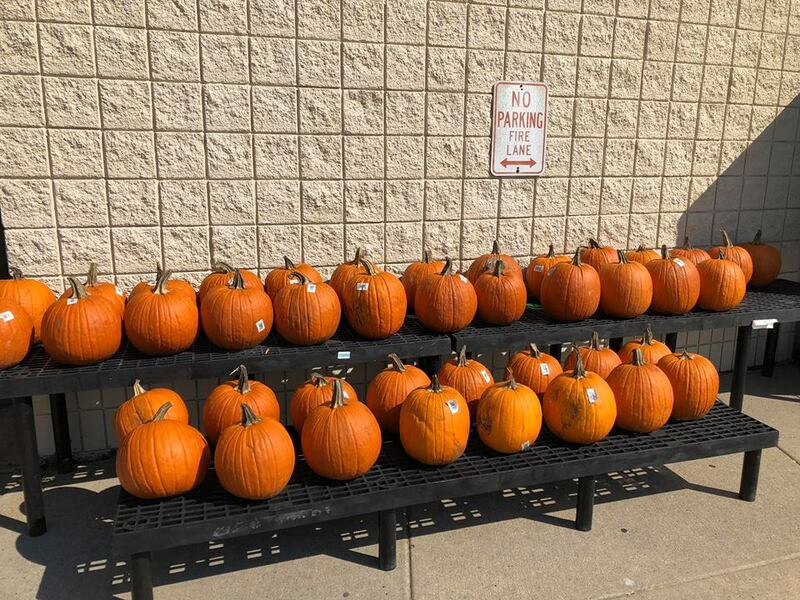 Hey, at least they set up some pumpkins outside, so that's a pretty good sign, right? Ok, we're starting off on the right foot here. In order to truly get ready for what I was about to see, I needed to start off small so I checked out their clothing section and...welp. It's not exactly like K-Mart is known for their high end fashion. I mean, I can remember being heckled on the playground for having a pair of shoes from K-Mart as a kid, so it's not exactly new developments that they stock cheap crap. To walk in and expect a shirt featuring Freddy and Jason or even Negan from the Walking Dead wouldn't be the most reasonable idea. 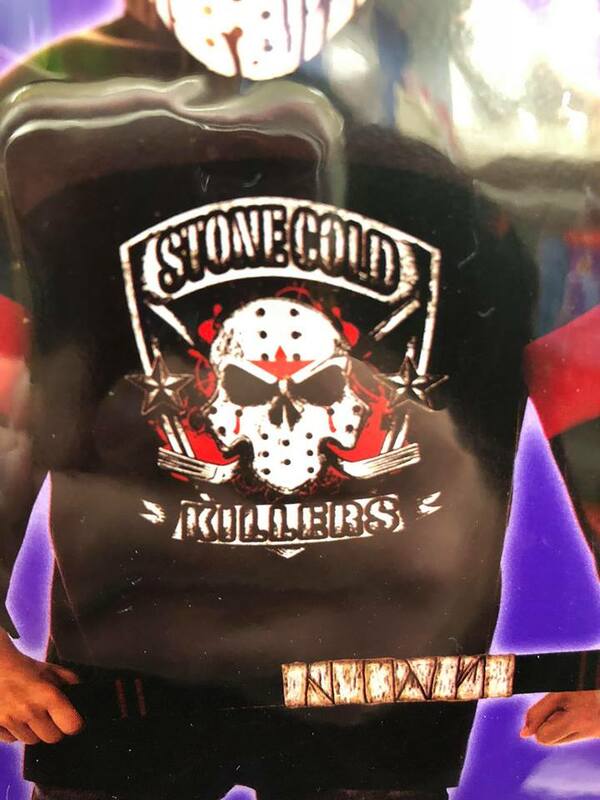 In their defense, these shirts are no different than the shirts you'll find at WalMart or Target, it's just the way their presented. Seemingly just thrown on the table with no fanfare. I can't help but think this could've been done better but, we've only just begun so no need to nitpick and get pissy just yet. I knew it wasn't going to be as big of a deal as it once was. I knew I wouldn't see the massive, crazy displays and most likely the offerings of horror movies that I once saw weren't even going to be anywhere near this but I still had hope. A big problem seemed to be NO SIGNAGE IN THE STORE. Didn't see one piece of decoration or any display showing me where this place would be and it seems almost like a giant inconvenience to even be put out. Sadly, after locking eyes on a very sad pumpkin display, my hopes vanished then and there. Of course, this seemed to be the majority of the candy/treat offerings. 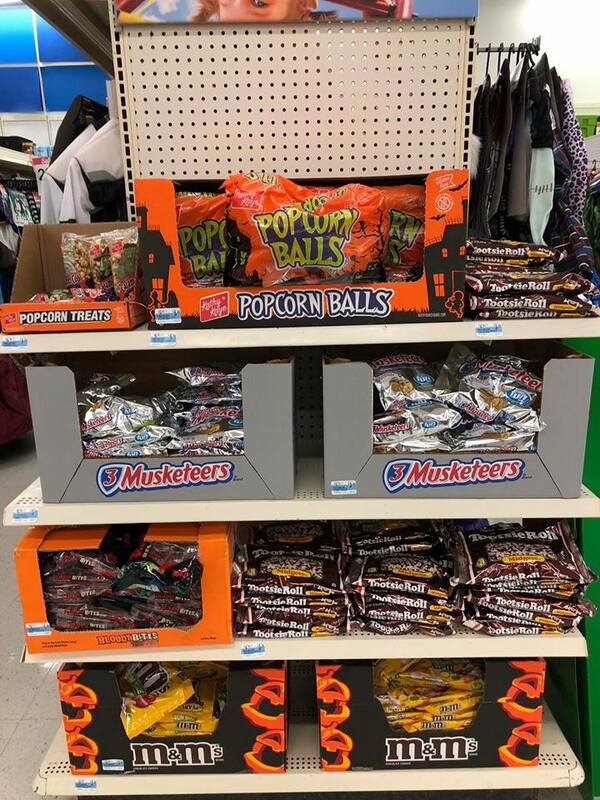 This doesn't bode well for the rest of the selections but hey, those Popcorn Balls are a pretty unique and somewhat of a retro addition. 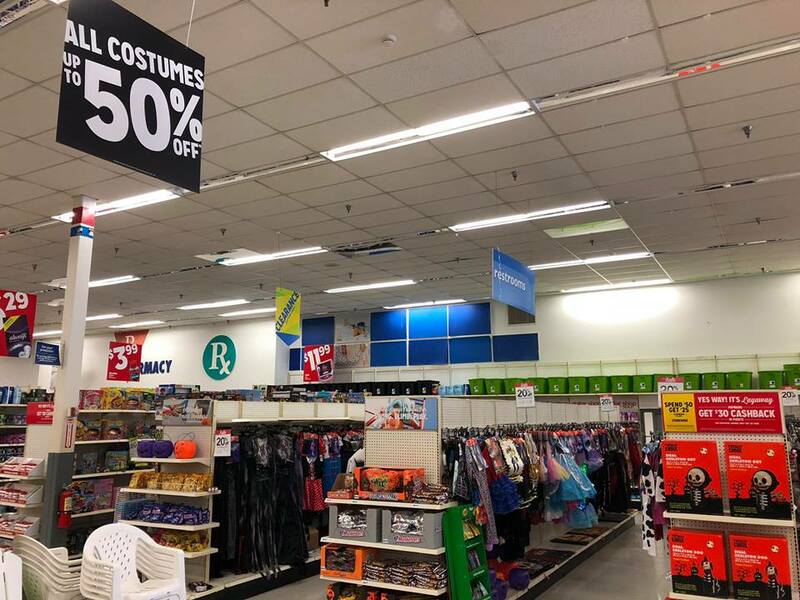 Make no mistake about it, if you're not the biggest Halloween fan and just need some cheap decorations or just don't like shopping at the bigger and brighter stores that offer a bigger variety or clean floors, K-Mart's selection is just fine. 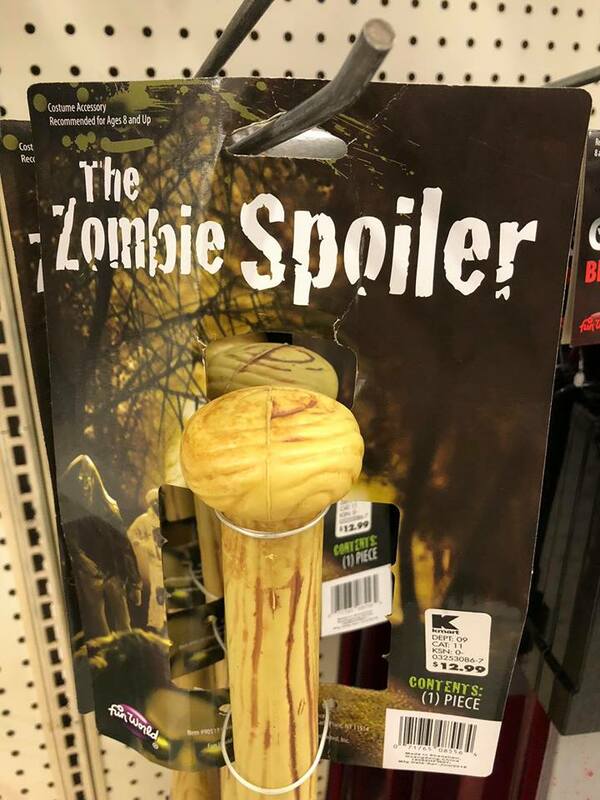 Costumes for adults and kids. Not exactly the worst but far from the Target Monsterville, but when you're a kid, you don't care about quality, you just wanna dress like...Stone Cold Jason Voorhees? So apparently Jason was a huge fan of the WWF Attitude Era and continues to pay homage to his chrome-domed hero. Some interesting decor here. All the inflatables were put on the top of the aisles, which kinda defeats a purpose of trying to sell them, since you can't get a good, clear view of them. Especially when they're half inflated and falling over like your drunk aunt on Thanksgiving. Some fun home decor items. Can't really see anything bad here, just very basic. I feel like the most consistent decoration I've seen through the years of these offerings has been that weird spider web, so that was a nice sight to see again. The others though? While nice and simple, I gotta pass. 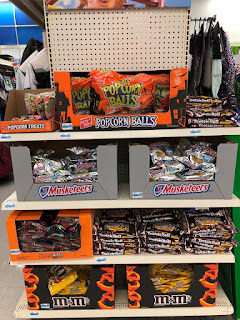 Right around the corner sits a variety of trick or treat bags. Now, I'm assuming kids still use pillow cases for Halloween but if they don't, these work too. See that witch bag on the top left? There's something about it that reminds me of my childhood. I don't exactly know why but it just does and for that, I tip my dirty Etnies hat in it's direction. 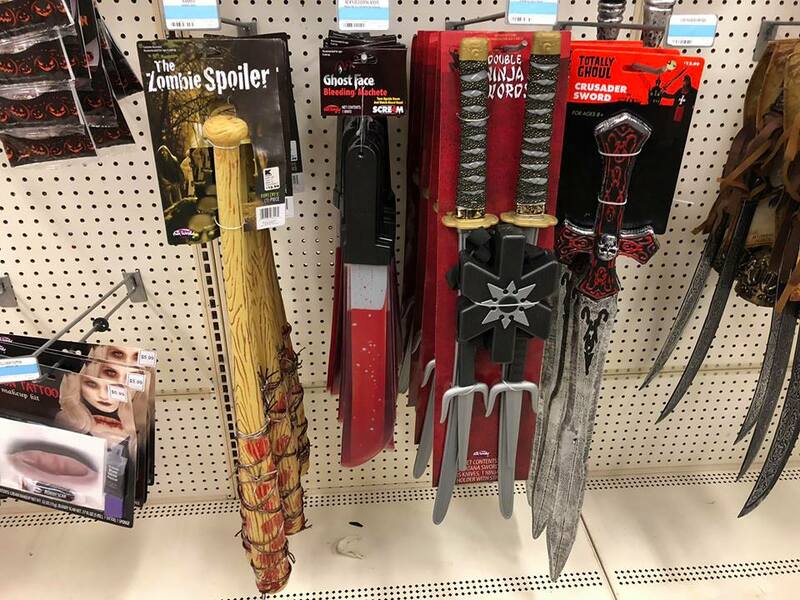 Ahhh yes, the tools of the Halloween trade. 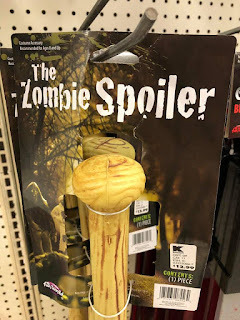 If you're on a budget and don't want to spend big bucks on actual, high quality props from Halloween Spirit, you'll be in luck here. I mean, they'll prolly fall apart once you remove them from the backing cards, but they still look nice. Ninja swords, a Scream knife and my favorite: The Zombie Spoiler. 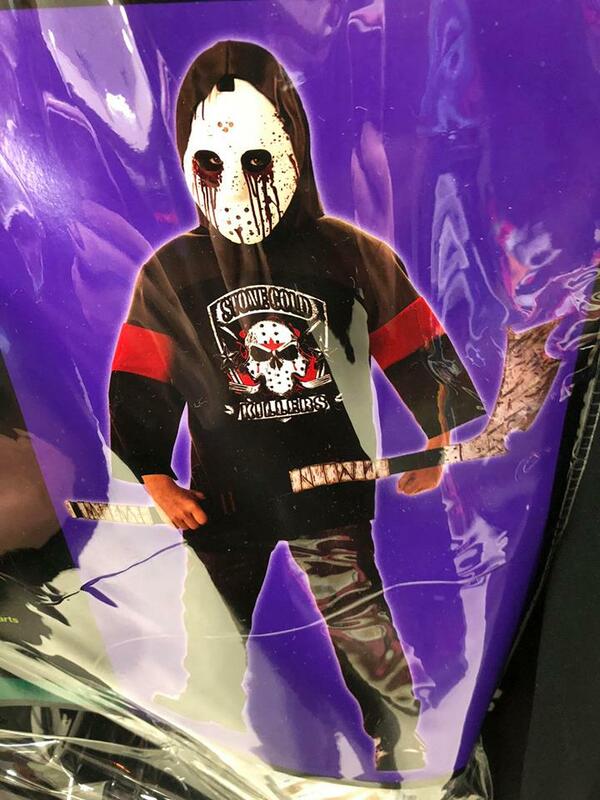 I can't help but thinking this would be a great piece for a Cactus Jack/Mick Foley cosplay, but I suppose it also works for going around acting like Negan as well. Out of everything I saw, this was by far my favorite. 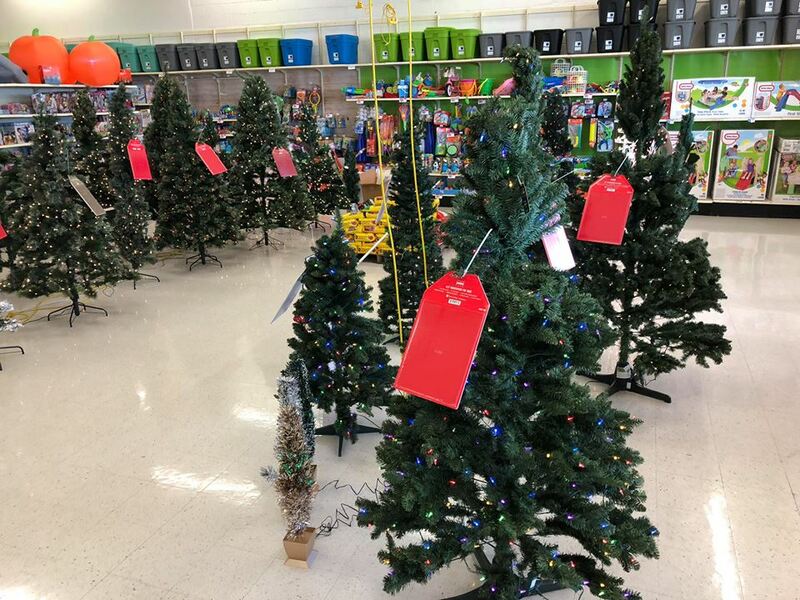 And of course, with every year in K-Mart's history, you have to set up some Christmas Trees right next to the Halloween aisles. 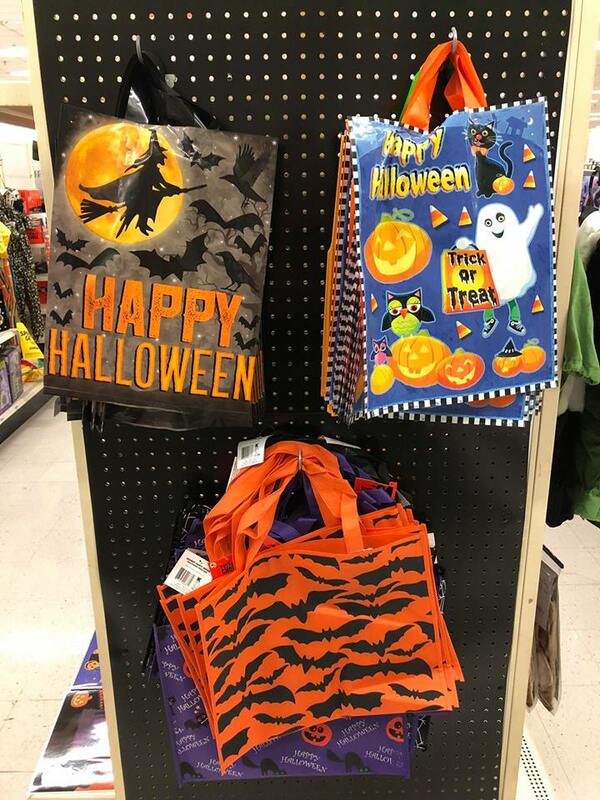 I'm coming to the realization that the company in general has very little faith in Halloween and leaves it to the bigger retail stores to provide a memorable seasonal experience. It just comes off as very old fashioned and quite upsetting. I don't know. I expected not to be blown away but not so underwhelmed that I needed to go to the Salvation Army Store up the street and buy a VHS or two to get the taste out of my mouth. I feel like this could be the very last time I go out of my way to see what K-Mart has in store for me for the holidays. If I'm in the area, sure. Well, after a very underwhelming trip, I had to leave. 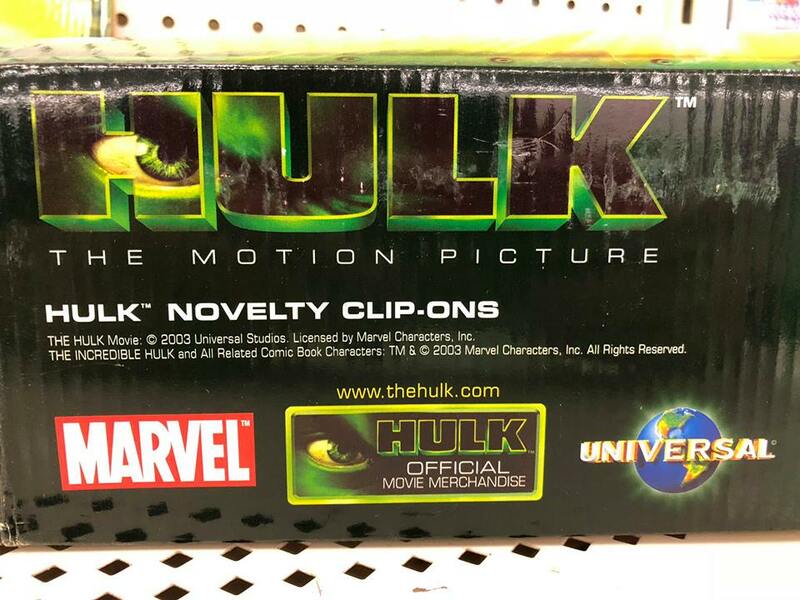 But, there was one thing that caught my eye in the toy aisles that I couldn't leave without. I miss K-Mart we lost ours about 10 years ago. 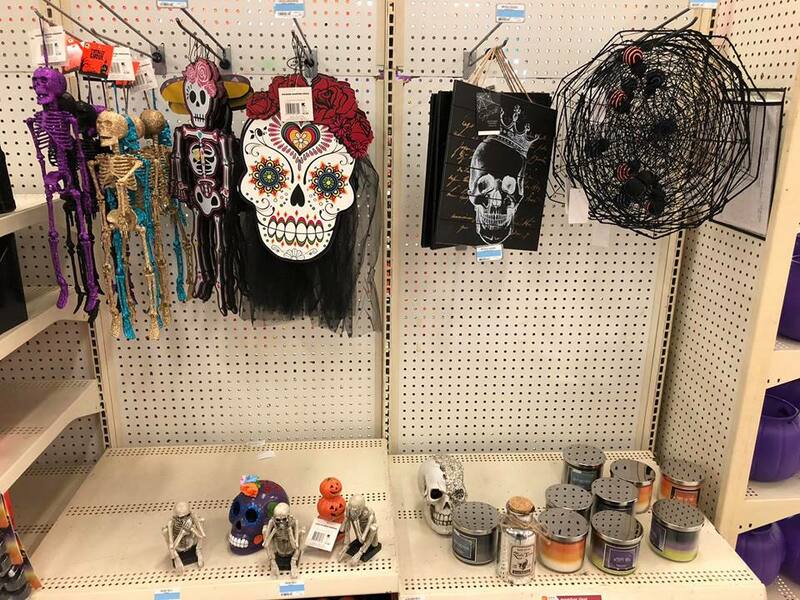 They were the first to have horror movies in their Halloween section. As for Christmas your going to see it really early this year people are really going to need to stretch the old mighty dollar. Trick Or Treating With Gene Simmons!